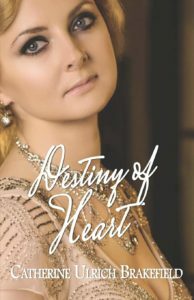 Destiny Of Heart by Catherine Ulrich Brakefield is a marvellous historical Christian tale that takes the reader through 1920’s America and into the Depression, up to the promise of better times under Roosevelt. Life was hard following WWI. The people had a tough spirit to survive. Diseases took lives as faith was questioned “Why, Lord? Why didn’t You heal my husband? She never felt so alone.” In times of loss we may have questions that seem to go unanswered. The enemy will whisper that due to our lack of faith, our loved one died. This is a lie, we need to defeat it by standing on the Word of Jesus and believing what God says. 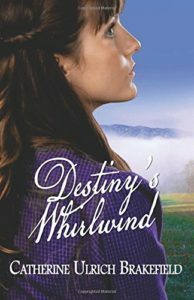 Destiny’s Whirlwind by Catherine Ulrich Brakefield is a Christian historical epic that entertains from the start. 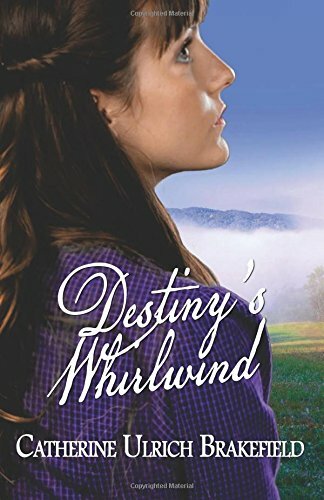 Being set in 1898 it is the dawn of the modern age but life is still hard. People die from disease and treat others with caution. The American farmer has a hard life. Comprehensive descriptions enable the reader to ‘experience’ the rich landscape which is an unforgiving master. A legacy of land and a deathbed promise is a heavy weight on a sixteen year olds shoulders. The main character is an unconventional heroine with her tomboy clothes and her resilient and modern outlook on life that is underpinned by a strong faith.